Like a film, the whole look is a denouement. 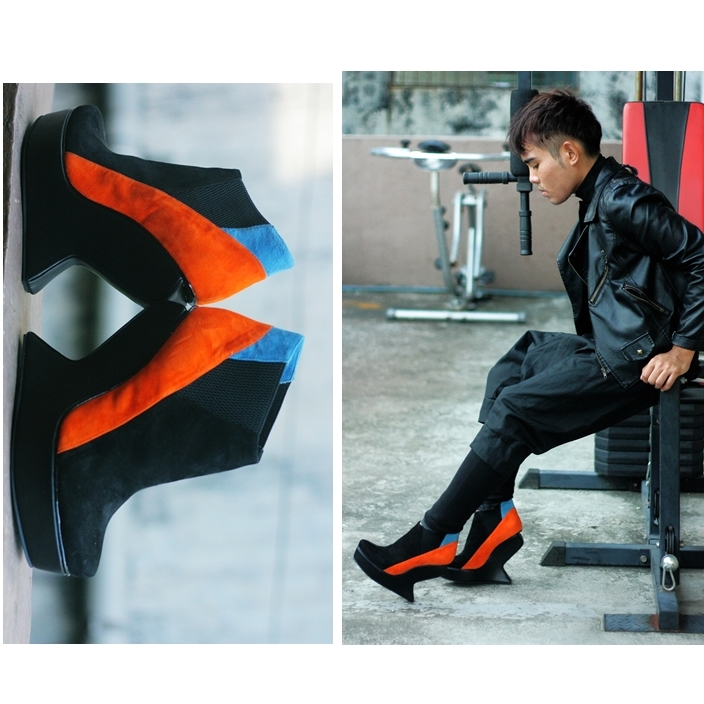 Everything begins with the exposition of the shoes , climbing to the climax and color . It slowly resolves on the way up as it fades into a black ending . Just black. No drama and tension. Karl!!!! I love your shoes teh!! !